Everybody needs a calculator. Because of this, there have been many calculators through the years and they’re actually pretty easy to find. Most people use them to figure out stuff like how much to tip at restaurants and students literally must have them for school. Believe it or not, Android can solve all of your needs in this instance. Most people won’t need to look much further than the stock calculator app on their phone. Google’s calculator app is also pretty decent as a very basic replacement. Thus, we’ll focus more on some of the more complex calculators you can find on mobile. 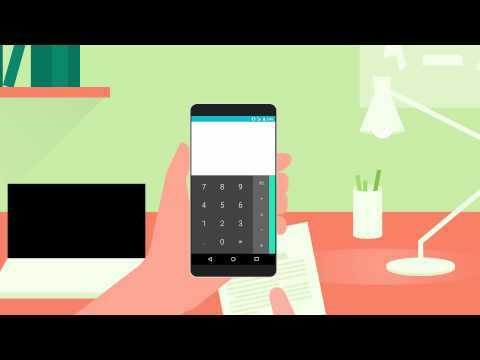 Here are the best calculator apps for Android! Here are some more useful app lists! AlmostTI is actually an emulator. It emulates the TI series calculators. Users have to provide their own files. Otherwise, it works fairly well. It also comes with support for phones and tablets. Using a TI calculator on a tablet is truly enjoyable. It does require some finesse. ROMs need the proper names. The developer has FAQs to help those who don’t know what’s happening. It’s $ 4.99 with no in-app purchases. There are some bugs. This one is in active development, though..
Calculator is one of the basic calculator apps. It’s a four-function calculator. You can do the basic stuff like addition, subtraction, multiplication, and division. It also includes history, graphing features, base conversions, and more. The UI is also simple. You shouldn’t have any trouble moving around the interface. You can get the full version for $ 2.99. This is also an open source project. The actual app has a few extra features that the open source version doesn’t have. Google Calculator is another excellent option for those looking for stuff like this. Demos Graphing Calculator is a good mobile substitute for the more popular graphing calculators. It can do the basic stuff like most calculator apps. There is also a full assortment of scientific calculator options. It can also do graphs, tables, stats, and more. Graphs are interactive with tons of data to share. Additionally, tables and stats are customizable. It’ll work well for most types of academia. It’s completely free with no in-app purchases. Digitalchemy is a developer on Google Play. They have three total calculator apps. The first is Calculator Plus. It’s a basic calculator that does everything you’d expect a calculator app to do. The second is Fraction Calculator. Its main focus is fractions. It lets you make calculations using them without breaking them down into decimal format. This is excellent for early mathematics, especially kids. The final one is Artful Calculator. It’s essentially just Calculator Plus but with more artsy themes. Droid48 is another calculator emulator. This one is for the HP 48 series of calculators. Thus, the potential features are that of those old calculators. They are generally good for academia and similar fields. They come with a variety of scientific and mathematical equations. The calculator is also easily programmable if you have the patience for it. It has a variety of uses. That’s especially true for college students and other academics. The app is free with no in-app purchases. We have more app lists for you to check out! Financial Calculators is a series of calculators to help you make sense of your finances. It features dozens of modes that can help you quickly and easily calculate anything from 401k contributions to student loan repayment, home loan interest, and even how many taxes you owe out of each paycheck. There have been a few bugs reported with a few of the modes, but the vast majority of them work perfectly. Anybody who needs help with calculating their finances should check this out. It’s completely free with no in-app purchases. It does have ads, though. Graphing Calculator by Mathlab is one of the more complex calculator apps. It’s meant for educational purposes and has a ton of stuff baked in to help people learn the math better. You’ll have access to nine work spaces to do different problems without leaving one behind, 3D graphics to see better representations of the data, and you can even save functions and expressions for future use. This probably isn’t something for the general masses, but those in school could find a good use for it. There is a free version you can use with the pro version adding some extra features. Handyman Calculator is another one of those unique calculator apps that has a ton of uses. This one has a focus on various types of construction and carpentry to help make those processes easier. You’ll find modes to help you figure out a variety of things including angle, electrical, unit conversion (density, temperature, and many others), and various build materials. There is also a fraction calculator built-in. The UI is a little rough. We’ve definitely seen fancier looking calculators. You can check it out for free or buy the pro version for $ 4.99. HiPER Scientific Calculator is one of the better calculator apps, especially for educational use. It has most of the basic scientific calculator functions, a built-in unit converter with over 200 units, and even some obscure features like a random number generator, permutations, etc. Most of the features are available in the free version with the pro version offering up to 100 decimal places and nine digits of exponents. This one also supports theming. The pro version runs for $ 2.99 but the free version works too. RealCalc has been one of the most stable and reliable calculator apps on Android for years. It packs a ton of features, including modes for degrees, radians, and gradians along with binary, octal, and hexadecimal modes. There are also user-customizable constants and conversions to help make things easier. Aside from that, virtually all scientific calculator functions should be present. About the only thing we didn’t like was how cramped the interface is but that’s kind of expected in this space. You can check it out for free. The full verison runs $ 3.49. Thank you for reading! We have a couple more recommendations for you! 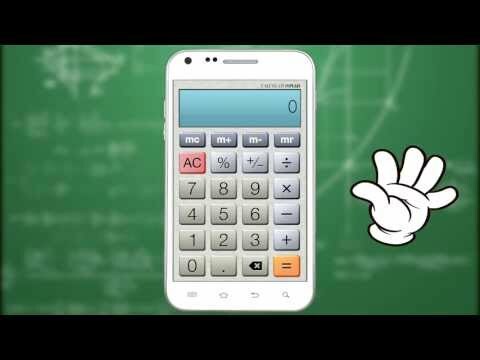 If we missed any of the best calculator apps for Android, tell us about them in the comments! You can also click here to check out our latest Android app and game lists!